Hamilton County Schools superintendent Bryan Johnson gives a "State of Our Schools" address to the Hamilton County Council of PTAs in the Hamilton County Department of Education board room on Wednesday, Oct. 18, 2017, in Chattanooga, Tenn. POLL: Is education in Tennessee moving in the right direction? Without any public discussion, the Hamilton County Board of Education voted Thursday night to spend $125 million to build, merge and renovate schools. 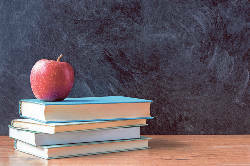 The plan was proposed by Superintendent Bryan Johnson, with the purpose of most efficiently using $100 million allocated for school capital projects by the Hamilton County Commission. 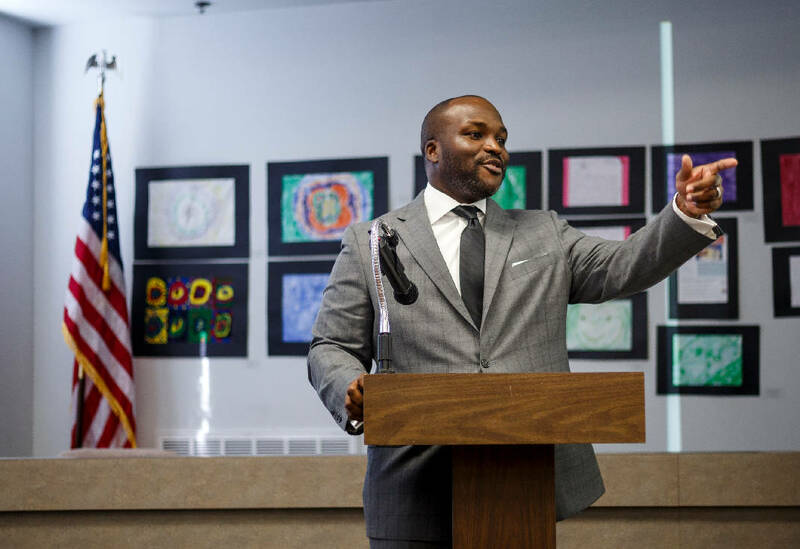 An additional $25 million will come from the district's reserve fund and other avenues that are still being worked out, he said. » Tyner Middle School will merge with Tyner Academy to form Tyner Middle- High. » The Chattanooga School for the Liberal Arts will move into a renovated Tyner Middle School —a building that is 58 years old. The current 68-year-old CSLA building has a number of structural issues, with water damage, decay, mold and mice, parents have said. » New East Hamilton Middle and Harrison Elementary schools will be built. Harrison Elementary, built 77 years ago, is nearly beyond repair, with sewage regularly backing up in the hallways and extensive water damage. East Hamilton Middle is not as old but is severely overcrowded. Howard Middle — now closed — would be renovated and reopened as a magnet school. It would take students from Clifton Hill and East Lake elementary schools, which are overcrowded. An addition will be built onto Snow Hill Elementary. A multipurpose room will be built for Lookout Valley Elementary. A new HCAC system will be installed at the Center for Creative Arts school. An elevator will be installed at Normal Park. A not-yet-determined school will either get a renovated athletic facility or a new one will be built. All of the projects are set to begin construction or renovation in December, with some projects being completed by next year and others going into 2021. Johnson said his team tried to be very thoughtful with their approach, and they understand that not everyone will be pleased. "What we tried to do is take what we have and try to get us to a place where we can begin to get in front of some of our deferred maintenance issues," he said. Earlier this month, the Times Free Press published a report highlighting what projects were included in the plan. While some board members confirmed the proposed plan sounded like what had been shown to them at that time, most either said they had not seen any plan or did not give a clear answer, citing that nothing had been presented to them in an official manner. Tonight, the plan that was presented was not on the board meeting's agenda and was the same as what was printed in the Times Free Press report, including some additional proposals and complete renderings of what new schools would look like. Some parents criticized the school district and board for their lack of transparency. Before the plan was presented, parents from Tyner Academy addressed the board, referencing the Times Free Press report. "We do have concerns about what was in the newspaper," one woman said. "I'm not saying it's true, but the article was disturbing, and it's important that we all know what's going on because our kids are what's at the forefront of Tyner — Tyner means everything to these kids." School board member Karitsa Jones addressed the presence of Tyner parents. "Just so that we understand, this information that we're talking about today is the first time that we've all been together to talk about this," Jones said. "No one hid anything from anybody." Other board members addressed the anxiety displayed by parents and community members. "I think it'd be remiss to not point out that we do have concerned citizens here tonight," school board member Tiffanie Robinson said. "I hope that we will do a great job at including them in this process." 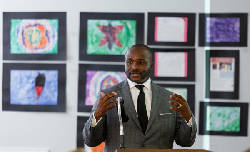 Johnson said the next step will be to hold community meetings for the affected schools. However, parents of both Tyner schools and CSLA said community meetings should have happened before the plan was presented rather than after the fact. ArDetra Davis said she thinks the plan would have gone over much better had the district engaged the schools and the families, even before the planning process, rather than all of a sudden presenting a finished plan. "I think it would have been a lot better because we had been working together all along," she said. Many parents said the only way they knew about the plan was from the Times Free Press report, and Davis said she didn't like how, had the report not been published, the vote would have gone through without any presence from the schools most affected. Parents also said they have decided to come together to form a group to support each other through the transition. "We are going to have each other's backs, and we're going to be the ones to help us transition through this," Vonnie Stone said. School board member Rhonda Thurman and several others said they were very excited about the plan. "With the money that we have, I think this is about the best plan I've seen," Thurman said. Editors' note: This story was corrected to reflect that Tyner Middle School is 58 years old. A previous version of the story incorrectly stated that it was 100 years old.